Adjust the mass and velocity of two gliders on a frictionless air track. 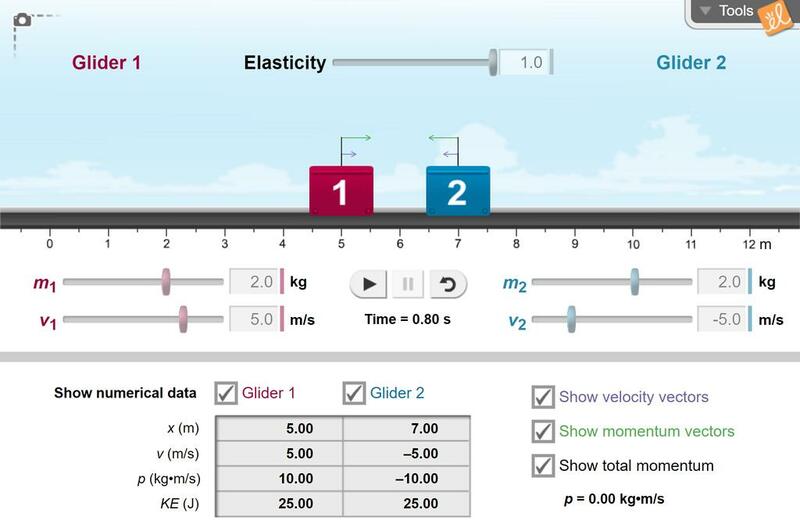 Measure the velocity, momentum, and kinetic energy of each glider as they approach each other and collide. Collisions can be elastic or inelastic. I made this brief assessment to check for students higher level knowledge. This should be used after dis... (more)cussing Newtons laws and performing this lab.